Wood-Mounted, deep etch Red Rubber Stamp. Wood Block Measures 1 1/2" x 3 1/2"
Virgin of Guadalupe image adds a fun element to collage stamping, Tag Art, Journals, Mixed Media and Collage. Any samples pictured are shown to give you ideas and are not included with your purchase. Samples may include other images along with main image. 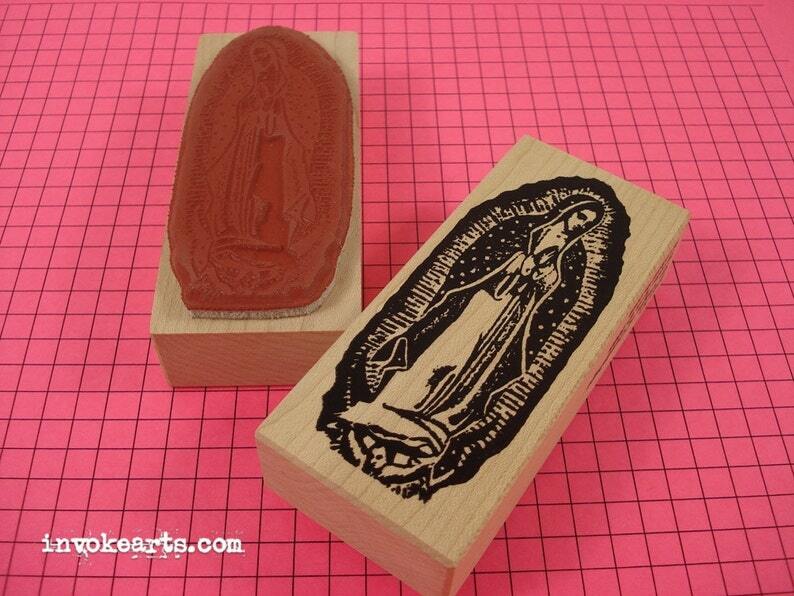 Beautiful Virgin of Guadalupe stamp!